Have you ever shared your bed with your beloved pet only to realize you were on the very edge and they had all the covers? Now multiply that by seven and you can picture what Chris and Mariesa Hughes were facing every night sharing a bed with their seven rescue dogs. 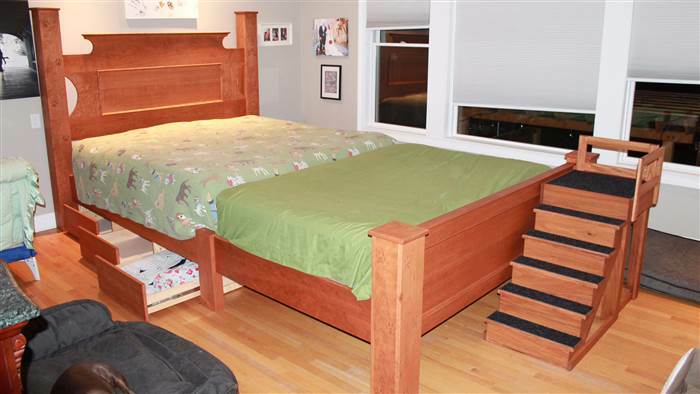 After nights of couch sleeping the Hughes’ came up with a solution that made everyone happy…they created the Megabed! 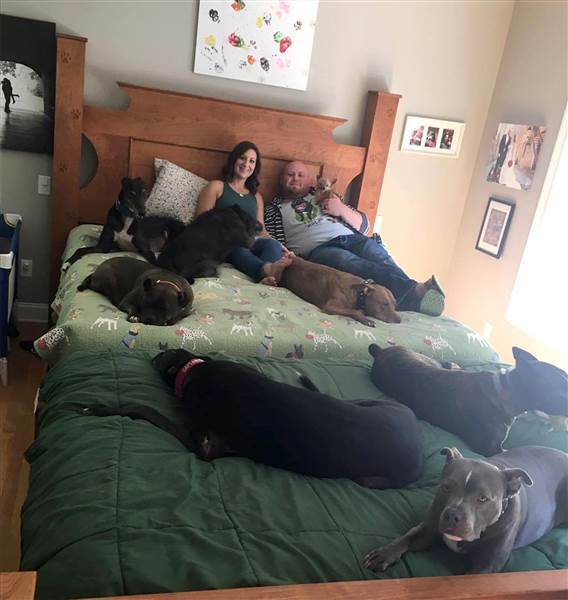 Chris and Mariesa Hughes are founders of The Mr. Mo Project, a nonprofit with a mission to rescue elderly and sick dogs from shelters (saving them from possible euthanasia) and placing them in homes to live the rest of their life in a home filled with love. Mr. Mo Project also covers the dog’s medical and living expenses.